The bass part for Bach's Orchestral Suite No. 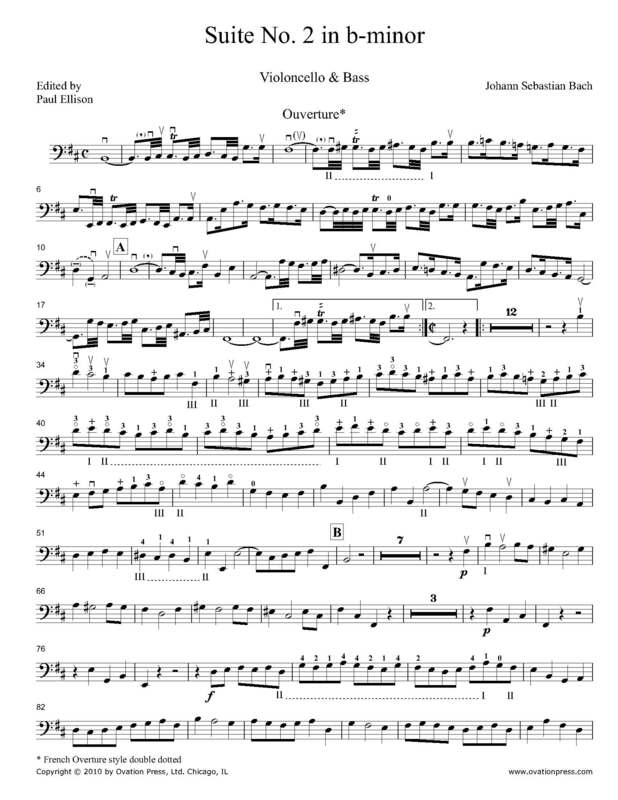 2 in B minor, BWV 1067 has been edited by Paul Ellison, in-demand double bassist, professor, presenter, and former Houston Symphony Orchestra principal bassist of 23 years. Ellison's bowings, fingerings and other editorial markings have been added throughout the score. Bach's Second Orchestral Suite can be traced back to his Leipzig years, and like all four suites, it employs traditional French dances in its movements. The work opens with a two-part Overture which combines a slower, grave opening with an ensuing fugal allegro. This is followed by six shorter dance movements, several of them with French origins (such as the Rondeau and Bourée). It also uses the Polish-derived Polonaise, a folk dance form which was a popular reserve of German composers. The suite closes with the Badinerie, a brief, light, and high-spirited movement which has become one of Bach's greatest orchestral hits. Download and print the score today to gain access to expertly edited Bach Orchestral Suite No. 2 bass fingerings and bowings from Paul Ellison!